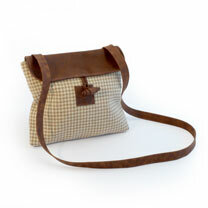 With an artisan twool bag for every occasion this is a thoroughly modern ethical approach to a traditional classic. twool woolly bags are handmade in rare-breed Whiteface Dartmoor wool and British heritage manufacturing. Up-cycled leather waste from British leather goods manufacturers make up the interior pockets, handles and toggle fasteners. Treated with an environmentally friendly finish, your woolly bag is showerproof and stain resistant. Care for your woolly bag as other woollen products and, if necessary, wipe clean with a damp cloth and dry flat. 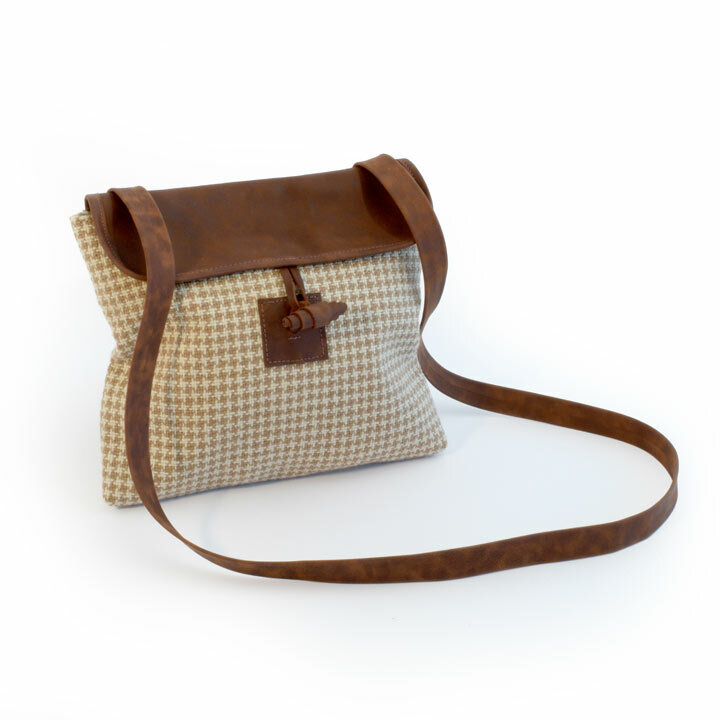 Brown and ecru houndstooth cross body bag. Approximate size 33cm width x 35cm length. Strap length: 65cm.